MAY 4 | KIRBY HS | 10 A.M. - 2 P.M. 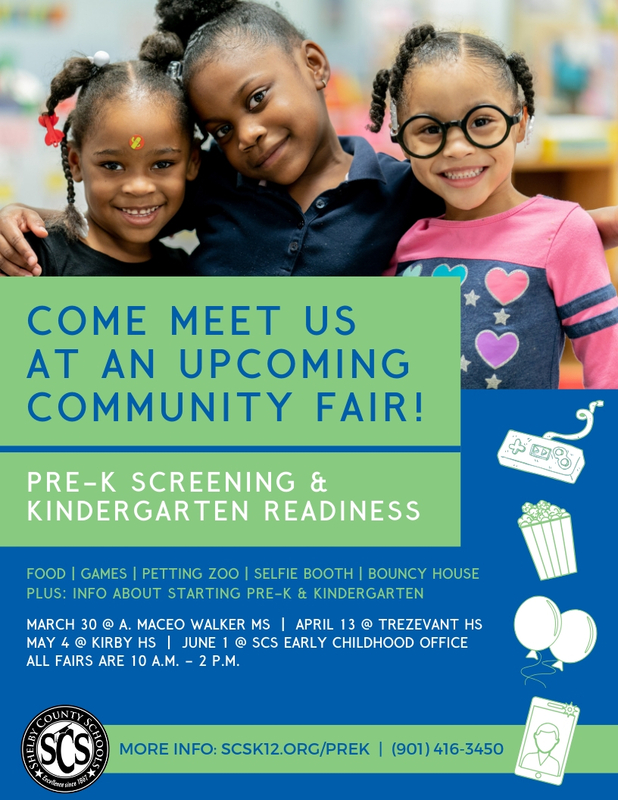 The SCS Pre-K team is holding a series community screening fairs to help interested families get a head start on the 2019-20 school year. There will be lots of great information about the Pre-K screening process, as well as the transition from Pre-K to Kindergarten. Plus, there will be free food, games, bouncy house, petting zoo, selfie booth and much more.